Chapel and church stained glass has come a long way since its original wave of popularity in the Middle Ages. Much of that stained glass was built with types of glass no longer available today, and it was frequently painted as well, adding detail to the colored glass. 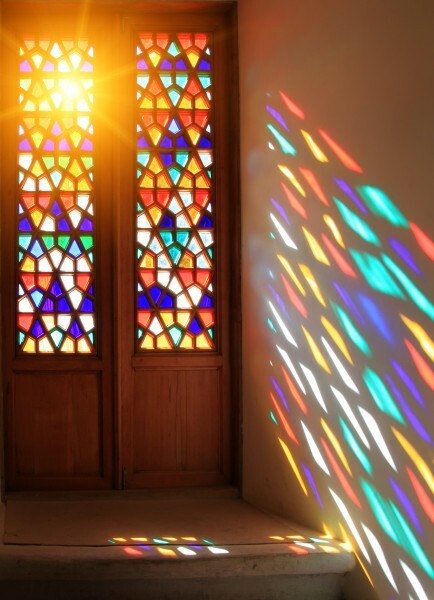 The role of religious stained glass in history is a colorful one (pun intended), one that continues to this day. In the United States, where was a surge of stained glass around the turn of the twentieth century in churches and chapels across the country. That popularity has continued, with stained glass still being commissioned and installed in religious buildings in every state of the union. We create custom designed and hand crafted religious stained glass for any kinds of chapels or churches. The word chapel is sometimes used interchangeably with the word church. But a chapel is usually one smaller room inside a church. There are also chapels that are non-denominational and interfaith. These can be freestanding or a room specifically built for worship in a non-religious institution. These kinds of interfaith chapels can be found in airports, hospitals, prisons, universities, even aboard cruise ships and many other places. Our custom chapel stained glass can be designed using the symbolism of a particular religious, such as biblical scenes, religious icons, saints or angels, or it can be something less literal. Much chapel stained glass, particularly for more interfaith, independent chapels, will be more abstract in the nature of the designs. We also do stained glass for residential chapels. We have many clients who have created a prayer room or chapel inside their homes, so they can practice their religion on a daily basis. For someone with a home chapel, adding stained glass can be the perfect finishing touch that gives the room the appropriate feel and sets the right mood. Working together with churches of any denomination to create custom stained glass designs is one of our specialties. It’s also one of our passions. We greatly admire the work of the stained glass masters who came before us and study their incredible works. Churches today might commission stained glass windows that contain traditional religious motifs: Scenes from the Old or New Testament, interpretations of biblical tales, crosses or other religious symbology. Or they might commission stained glass windows in a more modern vein, perhaps abstract designs or windows featuring a dove. Click here to see some of the many church and chapel stained glass windows we have created for clients’ across the country in the past two decades. 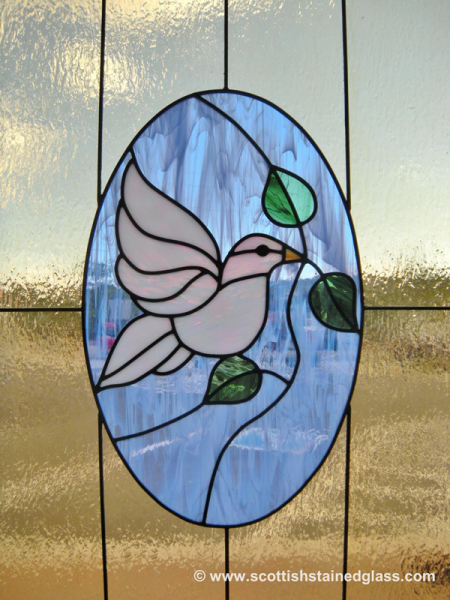 For chapel or church stained glass, custom designed and hand crafted, we hope you will contact us today. It would be our honor to create and install our beautiful stained glass work and see it add inspiration to the lives of worshippers for many generations to come.